"If you look at him, he seems normal. He laughs and plays just like any other two-year-old. He doesn’t even know how to tell us when he is in pain. He is so young. That’s what shocks us – that our little baby can have such a horrible disease." 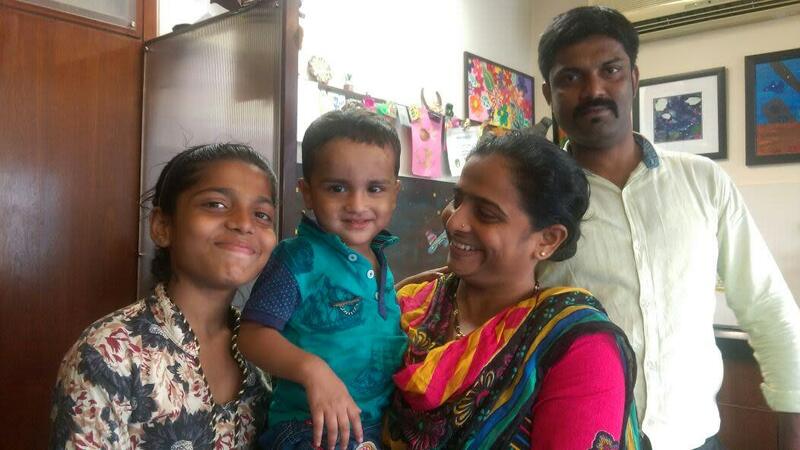 2-year-old Avanesh is an adorable baby boy pampered by everyone in his huge loving family. Everything seemed rosy for a while until Avanesh was diagnosed with a rare form of tumor. This baby boy immediately needs a surgery to remove the tumor so he can live a long happy life. 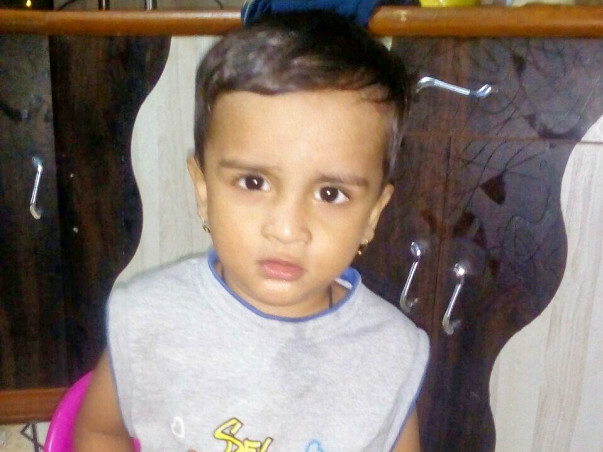 When Avanesh was 18 months old, he began stumbling a lot while trying to walk. For a while, these parents thought it was normal until they all realized it he was not able to balance himself. The anxious parents took him to a hospital and ran him through a series of tests that showed no abnormalities. However, after speaking to a few doctors and making more consults, they understood it could be the initial symptoms of a benign tumor or cancer. After a few more tests for cancer, Avanesh was diagnosed with Neuroblastoma in the chest (cancer cells form in the nerve tissue of the chest). It is quite rare to find this in children and could be incredibly fatal if it metastases to the bone. 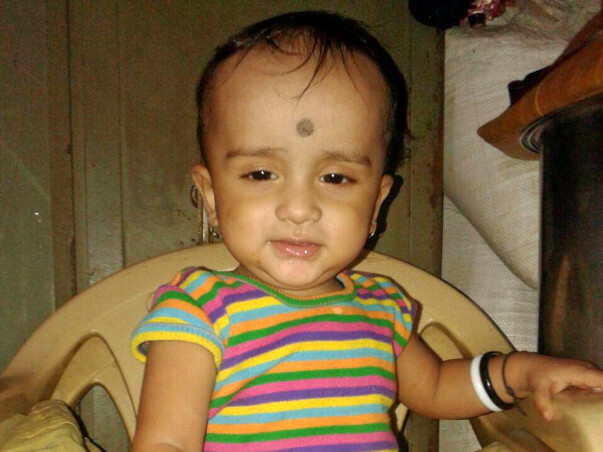 Avanesh was placed under observation for 20 days to check if the tumor is growing. Once the second set of scans showed there is no metastasis at present, the doctor suggested immediate surgery so they could avoid future complications. 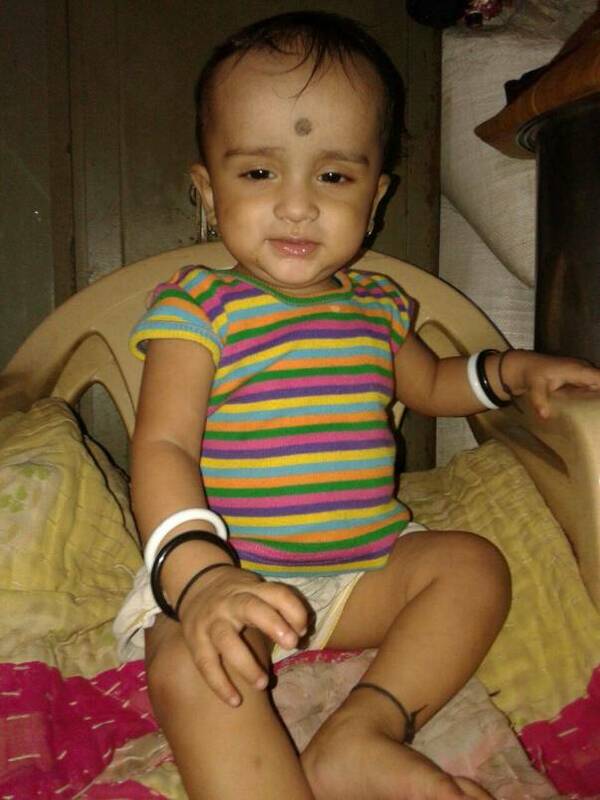 Somnath and Suma do have a perfect family with an older daughter and this baby boy. They come from a modest household in Mumbai, as a part of a large family consisting of Somnath’s older brother, his wife and children. Somnath is has been an office boy at a private company for over 9 years, currently drawing a salary of Rs.7,000. Suma takes care of the children at home, and also takes on tailoring and alteration orders for the people in the neighborhood. The money they make together is barely enough to pay for the household expenses, the daughter’s school fee, and now Avanesh’s medical expenses. They have not saved much over the years, but Somnath is contributing as much as they have saved towards Avanesh’s tests, medicines, and treatment. 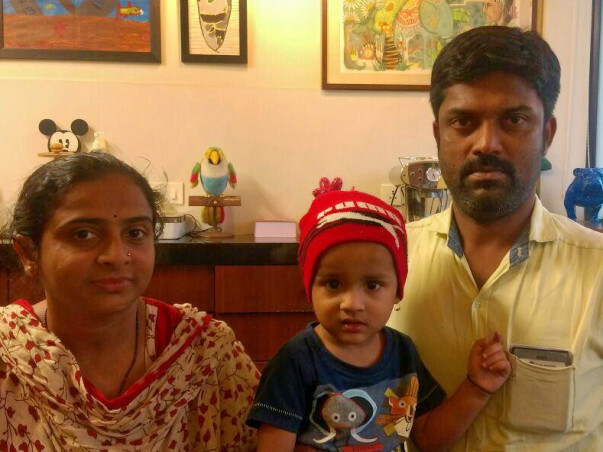 Although Somnath is working hard, the doctors advised them to schedule the surgery as soon as possible, preferably before Avanesh turns 2. Now he is 25 months old, and time is of the essence. As he grows, there is an increasing risk of the tumor growing, causing fatal complications. This family does not have the means to pay for this surgery at this time. 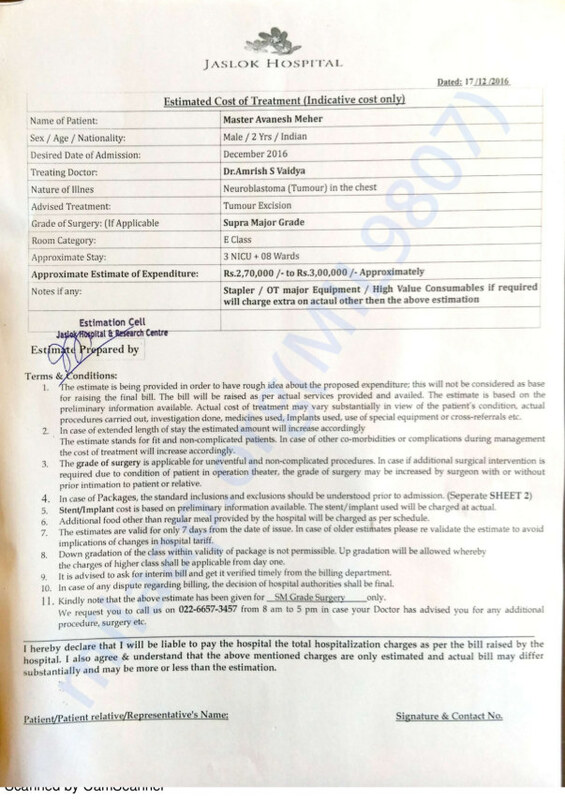 The cost estimated for the surgery is Rs. 3,00,000. Your support can give this baby boy a safe and long life. 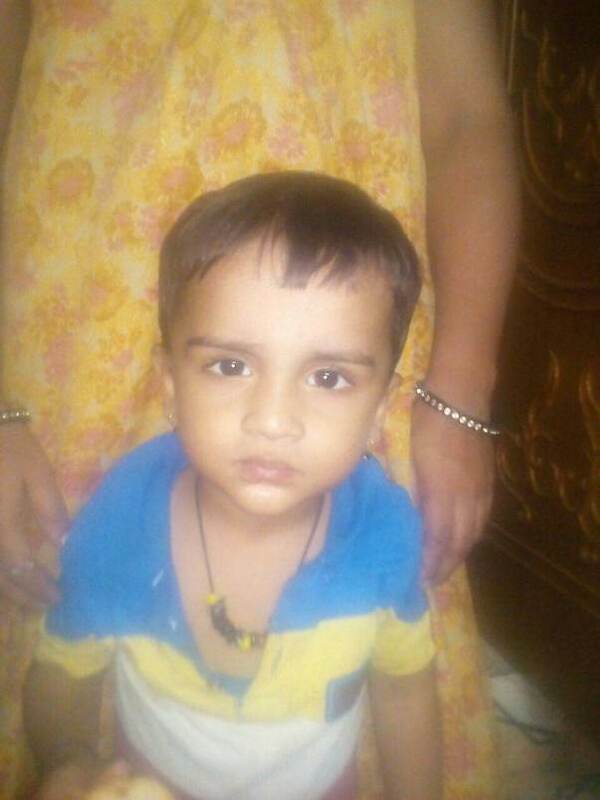 Donate now and help Avanesh get treated for his tumor. Happy to inform you that Avanesh's chest tumor could be removed completely after the operation on February 2nd. He is also recovering without any problems. 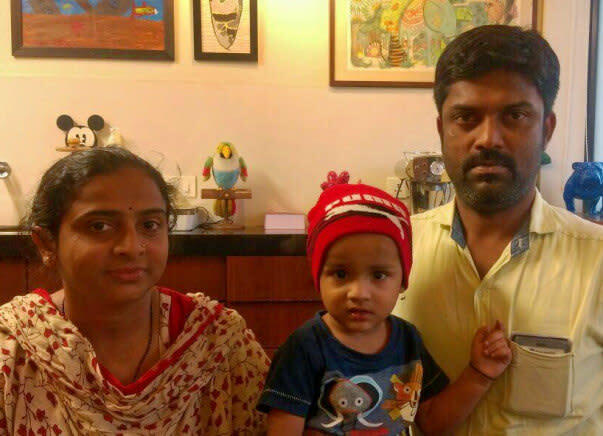 The result of the tumor biopsy shows that further treatment is not likely to be necessary, and so, after further checks after 6 months and 1 year, we will be able to say that Avanesh is completely cured. Thank you, all for your generous support and good wishes. 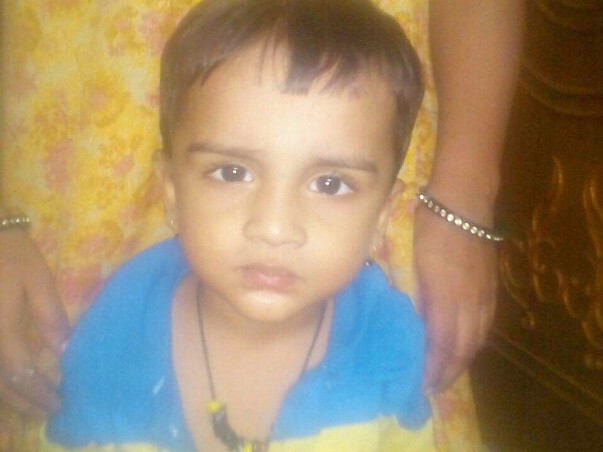 I would like to thank each and every one of your for your generous contributions towards Avanesh's treatment. Avanesh was operated successfully yesterday and he has has been keeping well. His parents are very grateful for your support. Please do keep him in your prayers for a speedy recovery.